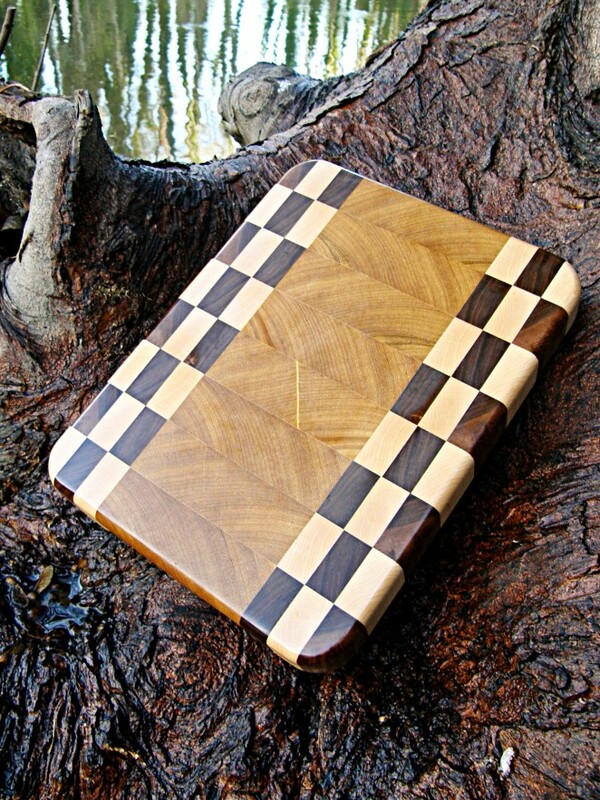 The Dunree End Grain Board is Handmade in Maple, Walnut & Iroko. Dunree is fitted with recessed handles for easy lifting - 330x250x40mm and finished with Antibacterial Worktop Oil. Each of our Individually Handcrafted End Grain Boards is Unique. Perfect for a Lifetime of Food Preparation & Presentation.